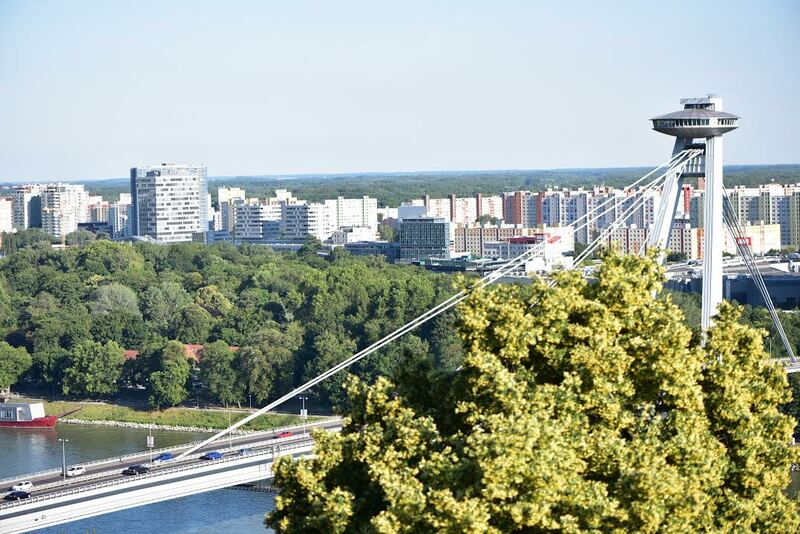 Bratislava is, for many visitors, a nice surprise! 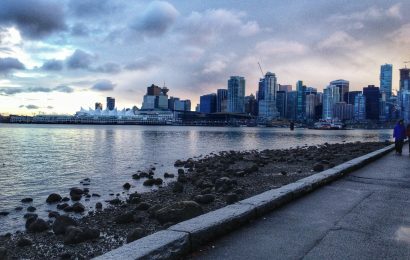 People discover a city with a lot to offer – gorgeous architecture, good food, and a great atmosphere. 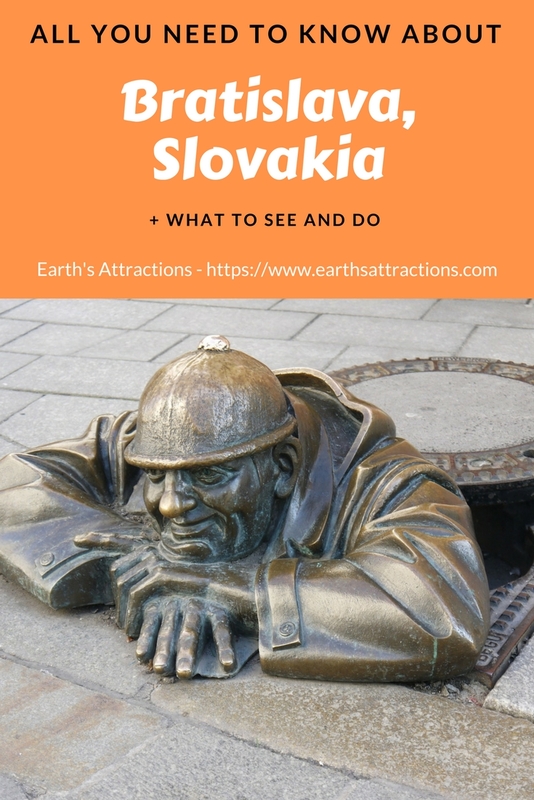 Discover the top attractions in Bratislava, off-the-beaten-path things to see and do, where to stay in Bratislava, where to eat in Bratislava, and tips for Bratislava, Slovakia from Nikoleta from The Bonfire Dream. 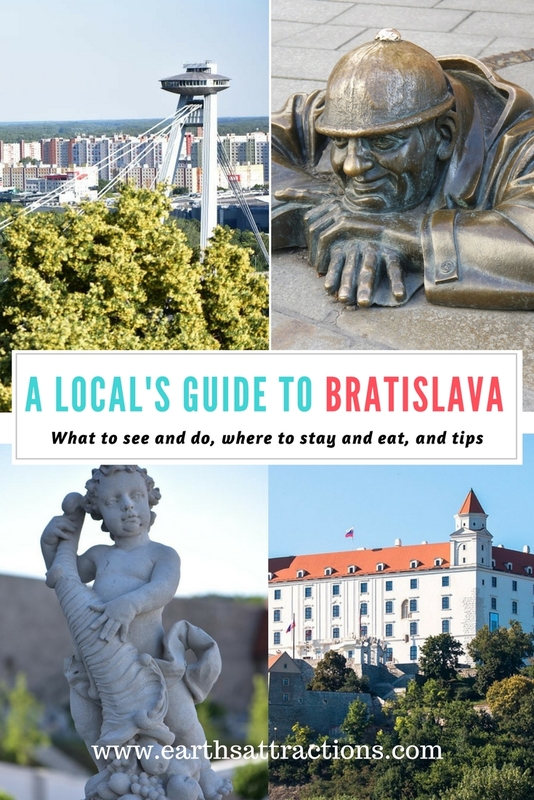 This local’s guide to Bratislava is part of the free travel guides series on this blog. Bratislava is the capital of Bratislava. It is a relatively small city lying on the Danube bank. Bratislava old town is only 6 km from Austria and 19 km from Hungary. It has been occupied already during the prehistoric times with the oldest finding dating to 25 mil years before Christ. But the city had been most influenced in the 16th century when Bratislava became the coronation city of Kingdom of Hungary. 19 kings and queens were crowned in the beautiful St Martin’s Cathedral which continues to amaze tourists up until today. 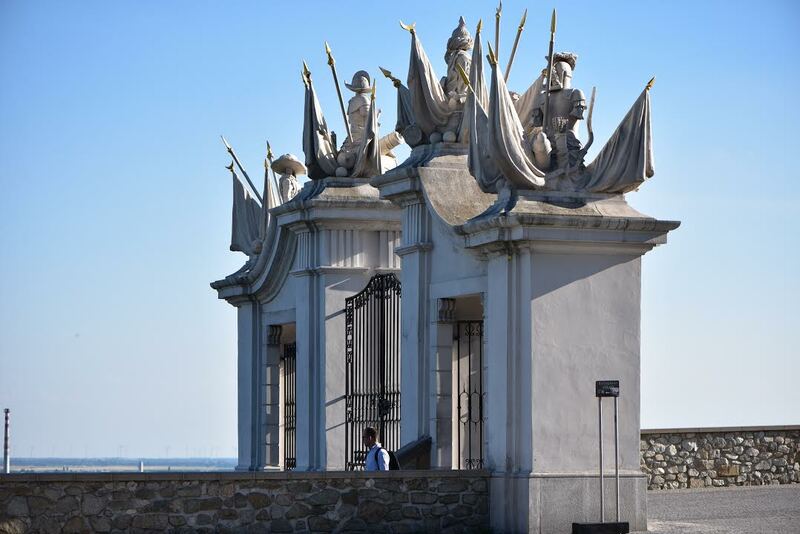 Read this article and discover an insider’s guide to Bratislava. After having lied in ruins for over 200 after it was burnt down in 1811. It is still under reconstruction but the larger part has already been done; the main castle building and the gardens. 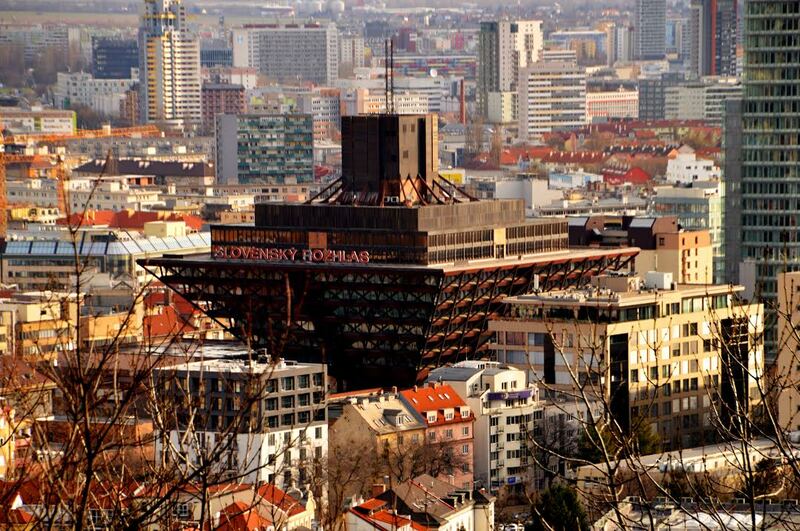 Nowadays it houses a spectacular museum of Bratislava culture from the prehistoric times to the modern day, it has a concert hall and the best view over the city from the former Crown Tower. Next on the list of top attractions in Bratislava is The Bridge of Slovak National Uprising or locally called the UFO Bridge, a controversial construction built over the old town. Admirers of communist architecture would value this unique bridge, unfortunately, the rest of us look more on the price that had to be paid: the destruction of a large part of the old town. The old building of the Slovak National Theatre located on Hviezdoslavovo Namestie is a building which takes you back in time, with its detailed decoration and the imposing structure. If you get the chance, enjoy one of the theatre performance (some are offered also in other languages than Slovak). This is why I believe this is one of the top things to see in Bratislava. 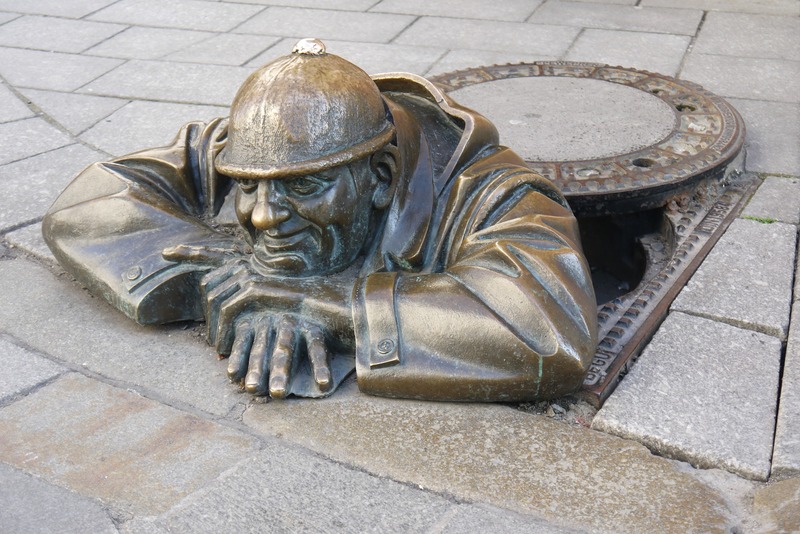 The Watcher is the most popular statue of the city featuring a man looking out from a sewer – one of the landmarks of Bratislava. If you miss him, you might have never even come to Bratislava. Besides him, however, get a look at Napoleon, Schoner Nazi and so much more! Hlavne Namestie is the heart of Bratislava old town where visitors get taken aback by the medieval beauty. Every single house is unique. Every single house has a story to tell. It talks about a drunken widow visited by a devil, about a fair lady who turned to stone overnight and about the cheerful man who made ladies blush and gentlemen smile despite living on the streets. Located on Hlavne Namestie, the Old Town Hall is a must. It houses a museum inside, which is good for those who stay for more than 3 days but for those who dedicate only one day in Bratislava, there are more fitting spots. St Michael’s Gate is the last standing gate of the city. In front of it, you can see the executioner street and enter the tower which houses the Museum of Weaponry. Under the inner part of the gate, there is a compass which tells the distance of various important cities from all over the world to Bratislava. Within it, the narrowest house is located, Pharmaceutic Museum can be found and the tasty SoHo restaurant can be savored. And much more…. explore the area around the gate on your own and find many interesting things! Check out the education centers! 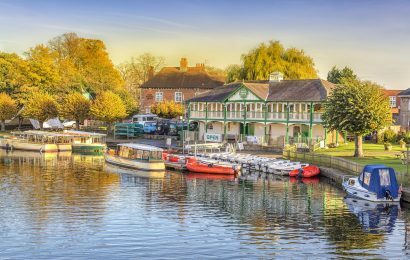 They are not only picturesque places but often not too many tourists pay it a visit. So it’s a great place to escape the crowds! Although the Presidential Palace is not accessible for visitors most of the time of the year, it is a must. Every hour, you can watch the change of guards. During the summer, the Presidential Gardens are life-savers. Not only do they provide shade, but they are also beautiful for the eye. If you happen to visit, make sure to check out the Presidential Alie. 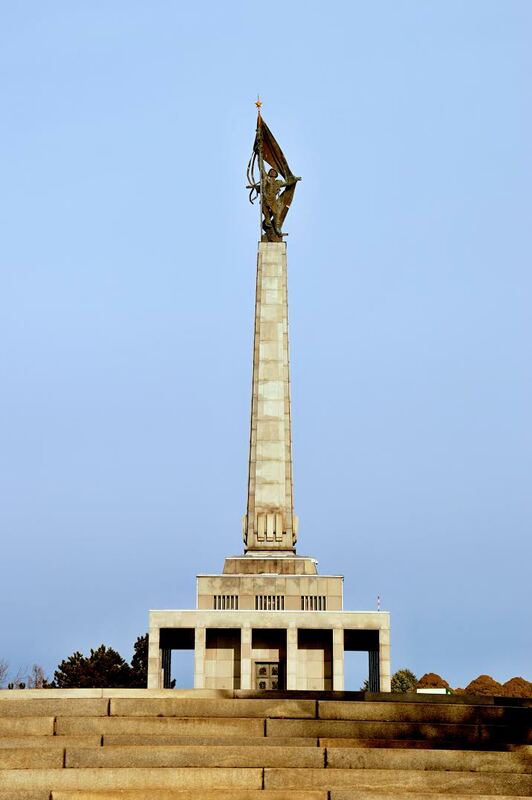 Slavin is a memorial dedicated to Russian soldiers who helped to liberate the Slovak Republic from Nazi Germany back in 1945. Slavin is easily approachable by foot from the castle or by bus from the Main Train Station. There is a beautiful view of the castle and the rest of the city. Only 20-minute bus ride from the old town, Bratislava hides another castle: The Devin Castle! It is mostly a ruin by now worth visiting especially during the summer when one can enjoy the views of Danube and Morava Rivers cojoining. Radio Building is a communist creation in the form of an upside-down pyramid. Even though it has been included in the list of the ugliest buildings in the world. 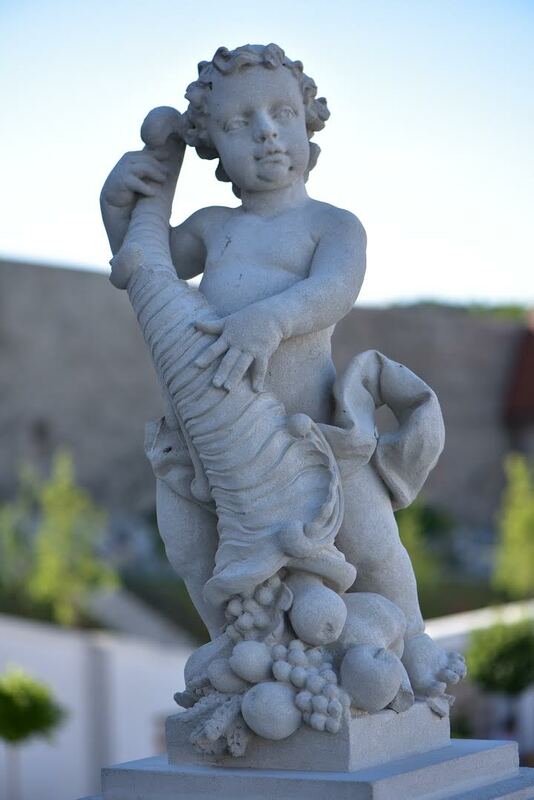 by The Telegraph, it has been named one of the Cultural Heritage Monuments of the Slovak Republic. Bratislava still has remaining bunkers as a commemorance from the wild 20th century. 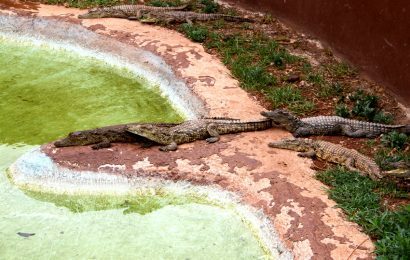 They are opened to the public only during the season when various companies offer tours during which visitors get a ride along the borders in a tank and end it in the bunkers. Gerulata is a Roman military camp located on the outskirts of the city. A 15-minute bus ride and a short walk will take you to a place of imperialism. Cairn is the memorial dedicated to Milan Rastislav Stefanik. He was the Minister of War of the First Republic of Czechoslovakia, French army General who formed the first Czechoslovak Legion and a passionate astronomer. He was dedicated to seeing the Slovak nation liberated from Nazi Germany. Unfortunately, despite working hard to achieve his goals, he wasn’t able to enjoy the results. His plane crashed in 1919 upon his arrival to Slovakia on the place Cairn stands now. Slovak Pub and Flagship are two quality restaurants for good prices where you can taste traditional Slovak food. On the other hand, Urban House, Orbis and Regal Burger are more modern funky restaurants. Being quite a meaty country, it is slightly more challenging to find vegan foods in Bratislava but Lucy’s Vegan Food, Foodstock, and Vegan Kiosk are always good choices. For the coffee and desserts, go to Mondieu (ask for hot chocolate with fruits), visit Mackafe and share your coffee with cats crawling all over you, or have a taste of the sweetest cakes in Zeppelin Cafe. A unique hotel to visit for a really good price is Botel Pressburg. It is a hotel on a boat. Skaritz Hotel is located directly in the old town and offers perfect romantic packages for two night… the perfect choice for Valentine’s stay in Bratislava! Still being quite a low-cost destination, Bratislava has many hostels such as Hostel Blues, Patio Hostel, and DREAM Hostel. They are all good… definitely unlike the film Hostel attempts to make people believe! Enjoy the city. Enjoy the small streets, get a book and read as you cherish your coffee. Bratislava isn’t meant to be one of those places you run through just to tick off the box! It is meant to be cherished. 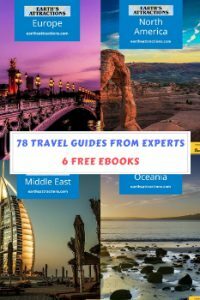 Take between 3 to 5 days for your explorations, ideally between May and June. Nikoleta is a blogger from the Bonfire Dream. She is local to Bratislava having left the beautiful city as a child to the neighboring Vienna where she studies History and Comparative Literature at the University of Vienna. Follow her on Facebook, Twitter, and instagram.